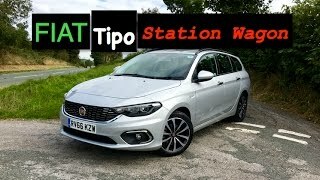 Fiat- one of the old brands now brings up the Fiat Tipo Station Wagon 2017 to the market. The brand has completed 80 years and has contributed to a back catalogue of highly successful models. In true Fiat style, the new additions to the Tipo family are packed with plenty of clever gestures and features which serve as a solution for the customers to make life better. It is one of the superb models in the Tipo family lineup with various enhanced features. 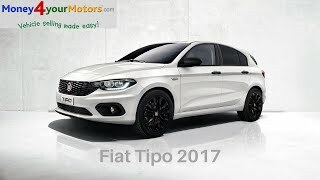 Let us have a close look at the reviews of the dynamic model Fiat Tipo Station Wagon 2017 and get to know more about the stuffs and features it is enhanced with. The interior of Fiat Tipo Station Wagon 2017 is very well versed. The Fiat Tipo 5-doors and Station Wagon can easily accommodate five passengers that show it is spacious and even tall people up to 1.85 m in height can travel in comfort up front or on the back row. 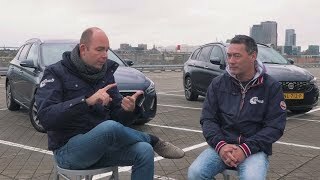 The legroom provided is also good enough which 1.07meters space between the edge of the front seat and the passenger's heel and 934 millimeters for the rear seat. At the sides of the luggage compartment there are two side panels for holding small items, which can be removed to further increase the width of the luggage compartment. Two lights, two bag hooks and four load-retaining hooks positioned on the floor provide added convenience. The model assures the maximum comfort with excellent driving ergonomics and the new dashboard, which provides great visibility. In all, Fiat Tipo Station Wagon 2017 provides the superlative comfortable interior to experience in. 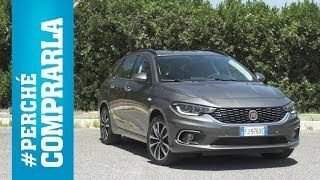 The exterior of Fiat Tipo Station Wagon 2017 is very beautiful. The front has a amazing grille with the ‘Fiat’ logo at the centre which provides a better view. It has independent wheels McPherson on the front axle and interconnected wheels torque beam on the rear. The two layouts are optimized to reduce weight and thus contribute to improving the car’s fuel efficiency. There are LED headlights in the front which serves the eye for the model and provide a better range than the other models. The rear bumper is raised with the LED lights which is enormous in look. There are side view mirrors to provide the driver the better rear view. 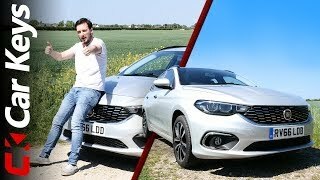 So, the model Fiat Tipo Station Wagon 2017 has simple and superior exterior than the other models in its lineup. The Fiat Tipo Station Wagon 2017 is powered with the 1.6 liter turbo diesel engine, equipped with the second generation MultiJet technology to ensure great autonomy drive, and low operational costs. This car also has the HP MultiJet turbodiesel 95 1.3 and 1.6 MultiJet 120 HP and is also available in the versions ECO, 1.4 fire 95 HP, 1.4 16v T-Jet 120 HP and 1.6 E-torQ 110 HP gasoline engine. The sprint capability and the top speed of the model are also not shared. 1.4 16v Fire 95 HP- delivers 95 HP at 6.000 rpm and reaches maximum torque of 127 Nm at 4.500 rpm. 1.4 T-Jet 120 HP-delivers 120 HP (88 kW) 5000 rpm and torque of 215 Nm at 2500 rpm. 1.6 E-torQ 110 HP- engine delivering 110 HP and 152 Nm of torque, mated to a six-speed automatic transmission with torque converter.